Fixity of the page— The page stays the same. Whenever you pick it up, its’ the same. You can count on it, and refer and cite it with certainty. Fixity of the edition— No matter which copy of the book you pick up, anywhere, it will be the same, so the fixed content is shared, and within an edition, the same always. Fixity of the object— Paper books last a very long time, and their text doesn’t change as they age. Sense of completeness — A sense of finality and closure that became part of the attraction of literature. Fluidity of the page — Can flow to fit any space, any where, any time. Fluidity of the edition— Can be corrected or improved incrementally. Fludity of the item— Can be kept in the cloud at such low cost that it is “free” to keep and constantly slipped to new “movage” platforms. Sense of growth — The never-done-ness of an ebook (at least in the ideal) resembles a life more than a stone, animating us as creators and readers. I resonate with both lists of positive attributes. Paper books have an authority and weight (No, not the lb/kg type) to them that electronic media do not have. But, an ebook can be be changed easily, re-uploaded to an ereader, always current. But there’s something in this “fixity” that wasn’t included in his post. Something I’ve been thinking about recently that is lacking in most computing experiences. I’m calling it persistence and presence. A paper book is both persistent and present in a way that an ebook is not. Similarly, paper notebooks, sketches, lists, and notes are also persistent and present in a way that their electronic equivalents are not. It struck me recently that MS OneNote (my life organizer of choice) has never completely replaced sticky notes, reminders on bulletin boards, whiteboard brainstorming, and similar physical “tools”. The purchasing manager probably thinks I’m single handedly keeping 3M in business with my post-it note purchases. These physical tools are persistent and present, I don’t have to choose to view them, they are just there. OneNote, in it’s current form (with one exception I’ll get to later), is only one of many programs I can choose to open while I’m on my computer. If I don’t open it, I’m not confronted by my Todo’s, Projects, and other notes. They are not persistently present (even more so If I don’t turn my computer on at all). A sticky note on my desk, however, confronts me. It can’t be ignored. Physical books are the same way. They sit on the shelf saying “read me!” every time you walk by. Especially if you have a spot on your shelf for the books you want to read next like I do. Walking into the living room I see those books, right at eye level just waiting for some time with me in my reading chair. So, for me, these physical tools remain because their persistence and presence are useful. Until there are ways to make electronic information as persistent and present as a post-it note or paper book, I’ll probably keep using them. I’m sure the lack of presence and persistence in electronic media and tools will be addressed. 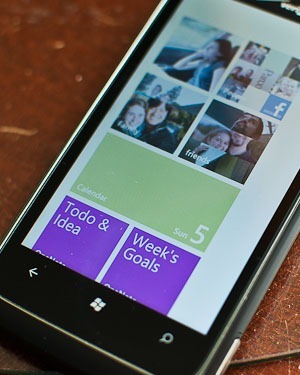 My windows phone (the exception I mentioned above) allows me to make a couple of my key OneNote pages (“Todo and idea capture” and “Week’s Goals and Today’s todos”) persistent by putting them on the start screen of my phone. And they are present because I always have my phone with me. New technologies like windows with built in monitors/TV, imbedded micro projectors shining information onto walls, and the “Internet of Things” will all increase the persistence and presence of digital content if designed properly. Thanks Ryan! glad you liked it.